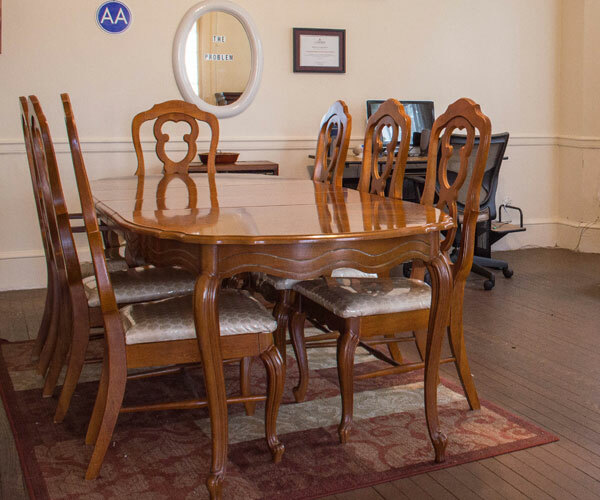 The Al-A-MO was established in 1971 by local industry management and employees who saw the need for a place for workers with substance abuse issues to reside, enabling them to return from treatment with an opportunity for success as productive workers and husbands. The original name stood for “Alcohol And More”, referring to the fact that the residence would serve with both alcoholics and drug addicts. Tax-exempt status as a 501-c-3 nonprofit was awarded in 1973. ALAMO is located in an historic 2-story home which was built in 1840. Situated on a residential street in downtown Petersburg, the building was purchased in the 1970’s to serve as a short-term residence for up to 12 males. From the beginning the focus was on providing tools to assist clients with sobriety and recovery utilizing the 12-step model of recovery and cognitive behavioral therapy. ​For several decades the Alamo served a relatively small group of males and was considered a transitional house with limited clinical or therapeutic services provided within the center. In recent years Professional staff include a part time Licensed Substance Abuse Treatment Practitioner. The House Coordinator is certified a Peer Recovery Specialist and Recovery Coach and is on duty 24 hours a day to ensure safe operation of the residential facility. The supplemental services have been added to serve both the men and women in the community at large. In 2015 ALAMO underwent a comprehensive organizational assessment which led to strategic planning, creation of a part-time Executive Director position, and consultant services to increase fundraising and Board leadership capacity. 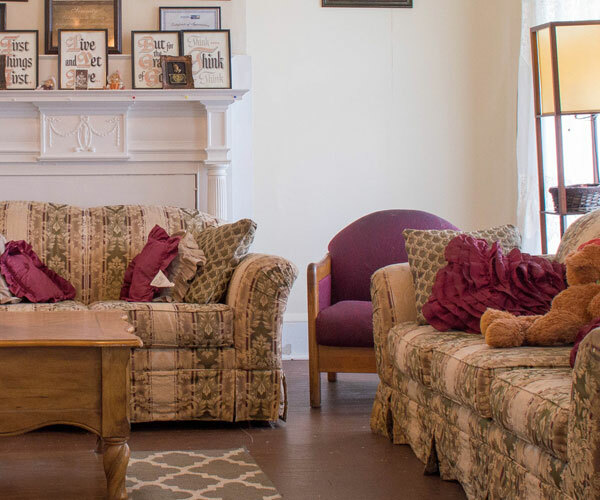 The Residential House Coordinator, a trained Peer Recovery Specialist, continues to coordinate the day-to-day residential operations. College interns and other community volunteers regularly provide additional assistance with administrative tasks and facility maintenance. over the years a number of important relationships have been developed with local and regional organizations to support ALAMO’s work. Current community partners include: The Cameron Foundation, Petersburg Reentry council, District 7 Probation and Parole, District 19 community Service Board, Riverside Regional Jail, John Randolph Hospital, Southside Regional Hospital, Petersburg City Jail, Serenity, Department of Social Services, John Tyler Community College, Virginia State University and Fort Lee. In December 2018 the Cameron Foundation featured the ALAMO Center in its Biennial Report. Read more.